Good news for one of the most important products of the Riviera dei Fiori. The region of Liguria has managed to unblock the burocratic process behind the Taggiasca Olive project towards the DOP ( denomination of protected origins ). It certainly is a long road to success, but the important thing is that everything is going in the right direction, in an attempt to get a recognition for the protection and prestige of this product, which has made our country famous all over the world, thanks to the production of extravirgin oil. To get the recognition, they will have to get the Agricultural Politics Mininster involved and then wait for the long-awaited DOP to get through. 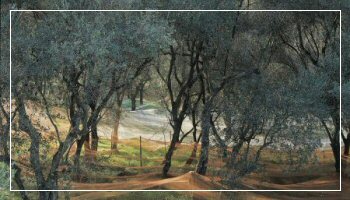 The region of Imperia alone has 850 people who specialise in the growing of olives, they are all members of the Dop “Riviera dei Fiori” extravirgin oil society and the production is around 550.000 Kg of certified oil. The production of Taggiasche olives is only the 0,5 % of the total Italian production and it is famous all over the world thanks to its uniqueness and quality, which are very much appreciated by many cooks.